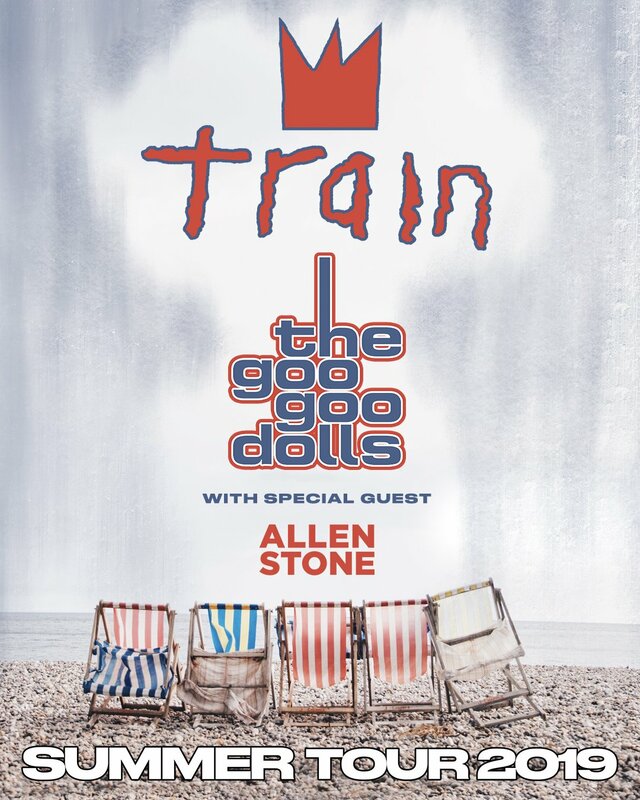 Grammy Award-winning rock bands Train and the Goo Goo Dolls have announced a summer 2019 co headlining tour, according to the announcement from Live Nation Entertainment. 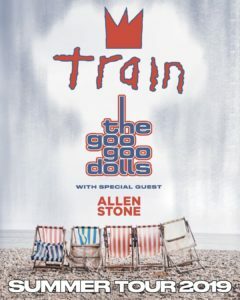 The tour is also set to feature special guest Allen Stone. The tour will bring the bands to more than 39 cities in North America, commencing on June 7 in Auburn, Wash, anc and will conclude on Aug. 17 in Mansfield, Mass. Last year, Goo Goo Dolls released You Should Be Happy, a five-song EP featuring 4 original songs and a re-mix of “Boxes” from their previous album. Pre-sale tickets will be made available starting Nov. 12 while general tickets will go on sale at LiveNation.com on Nov. 16.